has anybody come across anything like this before? 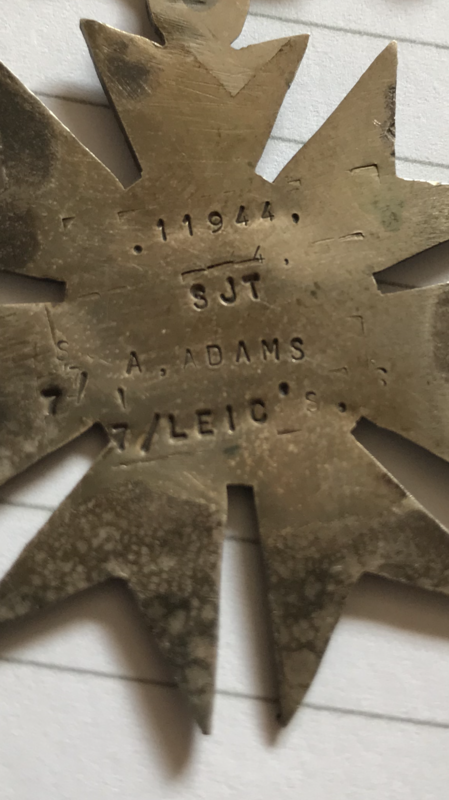 This chap was Arthur Adams and was awarded the DCM serving with the 7th Leicester’s, I guess the ATA could be his initials but just wondered what on earth it is? Home made? 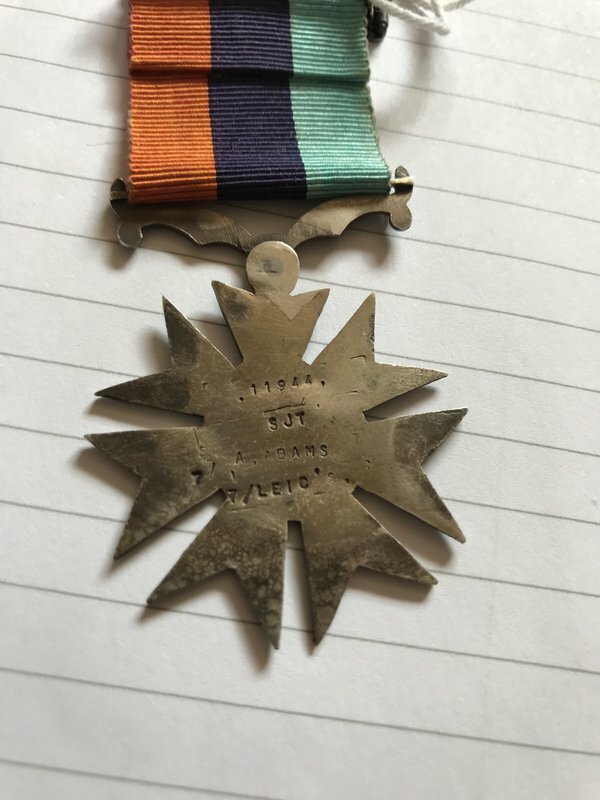 "Army Temperance Association" would be my guess - whilst it's not one I immediately recognise they did issue medals for those who took the pledge after various periods of time. 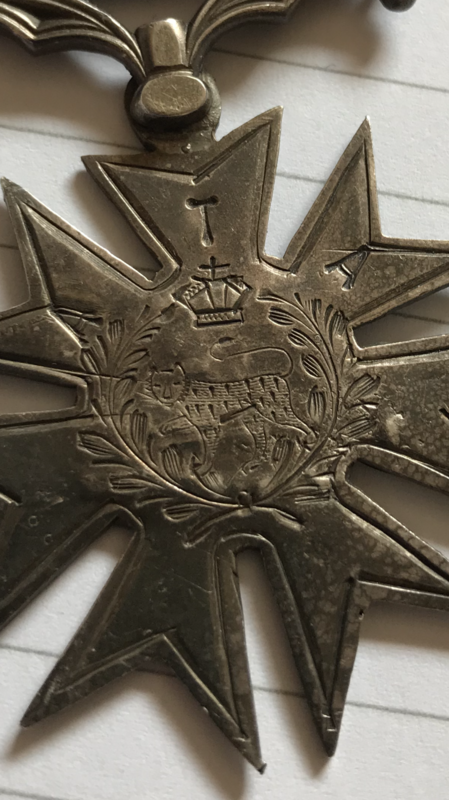 The Army Temperance Association became "Royal" in 1902, medals were awarded after 12 months sobriety, though the more ornate may represent more years. They were organised on a Regimental Basis therefore the emblem chosen, and the ribbon represented the recipients unit. Therefore it might be worth contacting the Regimental Museum, they certainly have details of other men who were awarded the ATA medal. Although mainly about the organisations in India, there is some general information. 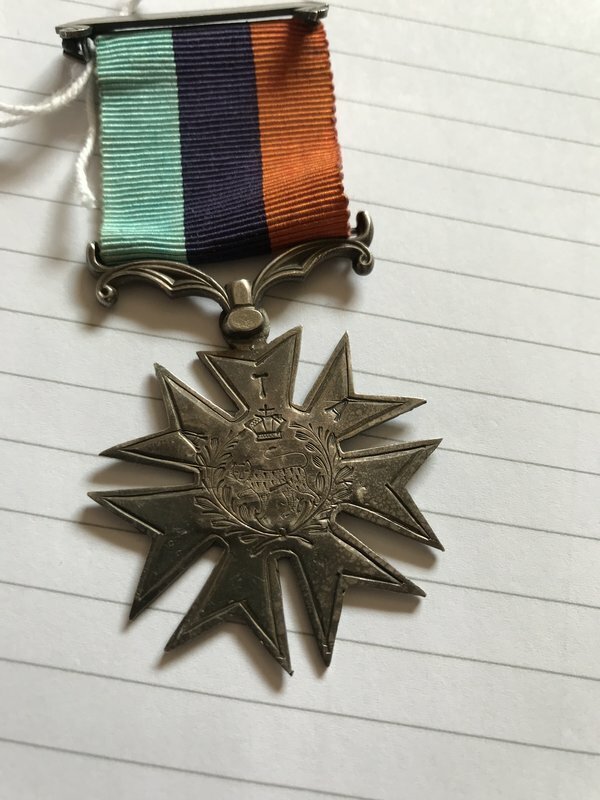 A Guide to Military Temperance Medals by David A. Harris. 2nd Edition (with additional information) 2006. Published by Stewart Publishing and Printing, Ontario, Canada. The author died in 2016. Note, now an archived webpage, so presumably the book is only available secondhand. Interests:Medals usually non military. Exhibition and calendar medals a speciality but also Peace medals and agricultural subjects. This would appear to be an unofficial, locally made copy of the Second Havelock Cross. The ATA was at its most active In India, and this medal has ll the signs of being Indian made.